Sometimes there are days that seem to contain nothing but added stress to your life. Moments might come up in the day from something as little as not being able to find your car keys or your coworker springing an unplanned meeting on you that you are supposed to lead in ten minutes. We can’t always control the little instances that come up, but we can decide on what we consume to help us through our day. Some foods and beverages act as small stress relievers which can help improve attitude and calm us in stressful situations when needed. By choosing to consume these stress relieving foods, this may help you try to be more versatile in your day by trying to change your attitude outcome. To start off your morning, you don’t have to be dramatic about changing your normal eating routine. One food that is great for relaxing your brain and can be flexible in different ways to be made are eggs. The natural chemical in eggs, tryptophan, helps reduce any stress and anxiety that you may be feeling. To accompany your eggs, you can drink green tea. Green tea has a natural chemical, thiamine, which also helps reduce anxiety. Or, if you prefer to drink your tea at night, it also helps to promote sleep. To make your beverage more soothing, you can add honey to your tea! As it turns out, honey has a large amount of tryptophan and will also help reduce anxiety and relax your nerves. Honey is also rich in potassium which will help fight off stress hormones and contains acids to help relax your entire nervous system. Seems as though this simple yet versatile ingredient could be added anywhere else in your day for a quick reliever. Throughout your day, you should consume snacks. Some snacks, such as cookies or ice cream, seem like the ideal way to calm yourself down, but here are a few stress relieving snacks with less calories and more beneficial effects. For starters, one simple snack that you can have are bananas. Bananas contain bountiful amounts of potassium and magnesium which are natural muscle relaxers. Bananas also contain the chemical tryptophan which releases serotonin into the brain which causes you to be more tranquil and happy. If you are looking for a drier snack that has a crunch, walnuts can help lower your stress. Walnuts contain alpha-linolenic acid, an essential omega-3 fatty acid, and other polyphenols that have been able to help prevent memory loss. These nuts also help your adrenaline stay low and keep your stress hormones at ease. Because nuts are a versatile snack, they are easy to take on-the-go as well as easy to incorporate in other meals you may have in your day. Earning these positive effects, you will be grateful for how easily available these foods are. Having gratitude will shift your mood to be more positive and more at peace as life is just a bit easier with these foods. When eating your second meal of the day, you could try to have a salad. Leafy greens contain magnesium which helps your muscles relax as well as calm nerves. You could even add walnuts to your salad if you don’t want to eat them alone. Or, if you are wanting to eat something smoother, you can add one-fourth of an avocado. Avocados have healthy fats that contain glutathione which will help block intestinal absorption of certain fats. This is beneficial because it will help your stomach separate which fats are good for your body and help prevent the amount of harmful fats being taken in. Salads are a great way to combine multiple stress relieving foods and you can even top your salad with a dressing made with honey! By having this meal, be versatile. You can make a difference in your life by advancing on goals. These goals could be to feel stress-free or to be healthier, but either way you will be experiencing success and can help others with these tips too. Another green that you may like to snack on is celery. Not only is celery good for you to eat because it contains no calories, but it also provides a better ability to relax. Historically, celery used to be thought of as an antidote to relieve stress and nervous tension, but as it turns out, it is beneficial by helping you lower high blood pressure. By not having to worry about the added stress in your day, you can take moments of the day to live in the moment and enjoy the little things that haven’t made you feel stressed. If one of those moments is you eating celery while your feet are propped up on your desk, so be it. Little moments like these will help you live in the present and feel relieved from the stresses of your day. Be here, even if for a short break, and enjoy every moment that comes your way. For dinner, you can try and have a type of cold water fish such as tuna, salmon, or even sardines. These fish are high in omega-3 fatty acids which help boost serotonin levels. While suppressing the production of anxiety released through hormones, it also suppresses adrenaline to help you stay calm. Not only do these fish help reduce stress, but they also help lower high blood pressure. In addition to these fish being beneficial to stress, you can also utilize the way Living Full Out uses its strategy to blow away limits by surpassing any goals to live a healthier lifestyle. Nothing is impossible and you can see how far you can go in developing new takes on recipes or not setting limits on what you can create with these foods. To end your day, why don’t you treat yourself to a warm glass of milk and a bit of dark chocolate? Once again, the natural chemical tryptophan is included in milk and helps release serotonin into the brain which induces the feeling of pleasure and also helps you fall asleep faster. Cold milk could also be consumed during the day for calcium intake and potassium to help with calmness, but warm milk is best for at night. As for the dark chocolate, which should contain 70% more cacao, it can help release serotonin, endorphin, and dopamine into your brain to make you calmer and happier. Dark chocolate helps control the stress level in your brain, and it also will satisfy your sweet tooth. Even though there are many suggestions here, you do not have to eat these foods in this order. Don’t be afraid to pair different ingredients with one another if you are having a stressful day and create versatile options. Try and look for foods with the natural chemical tryptophan to find even more options of foods and beverages to help ease your mind. It is best to find the foods with these ingredients instead of taking supplements which may lead to harmful side effects. 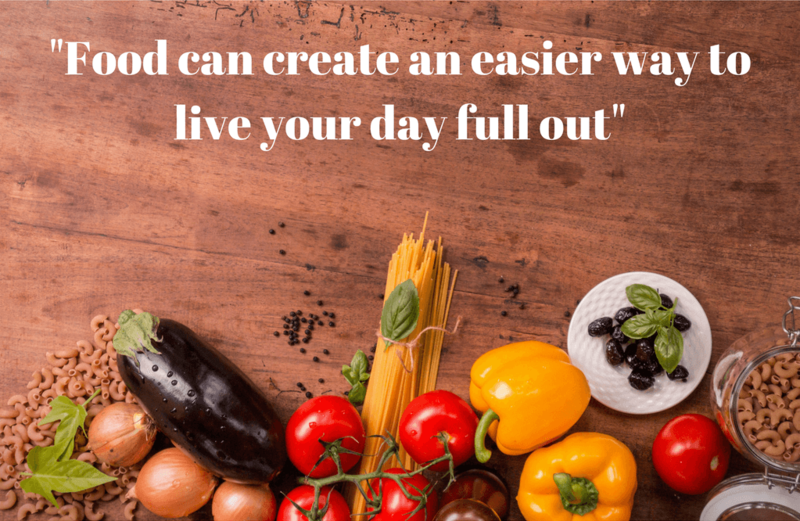 Your day may not always go according to plan, but with these easy foods, they can create an easier way to live your day full out.